Beautifully maintained Village of Howard condo with many updates. Entry on ground level. 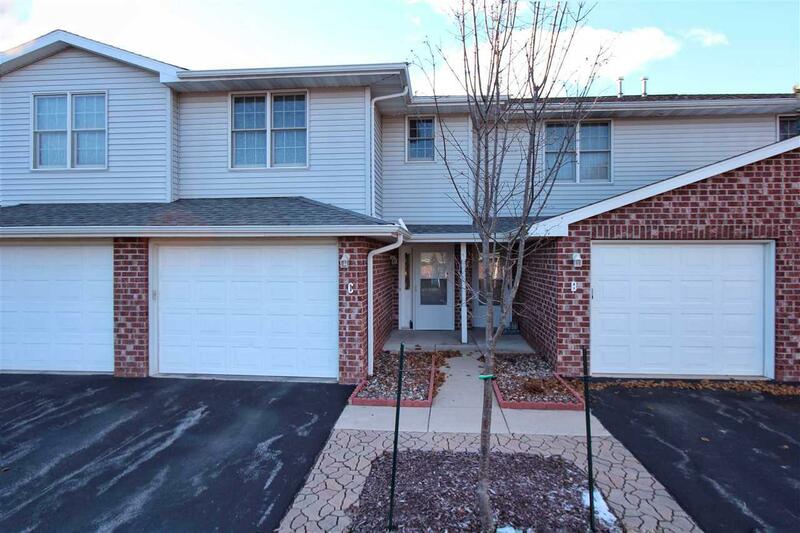 This 2 bed 2 full bath condo is freshly painted throughout with a trey ceiling in living room and gas fireplace. Open concept from kitchen to living room. Full bath on main level with first floor laundry. Dual sinks in second full bath in upper level. Updated furnace, central air, flooring, blinds, range, microwave, and fireplace fan. Freshly painted garage also. Finished family room in lower level.